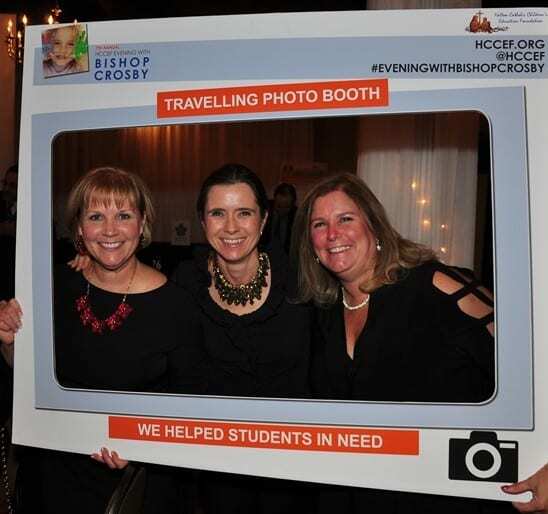 On Wednesday, November 1, 2017, the Halton Catholic Children’s Education Foundation (HCCEF) hosted its 7th Annual Evening with Bishop Crosby at Le Dome Banquet Hall in Oakville. The evening featured a keynote address by His Excellency, Douglas Crosby, Bishop of Hamilton to over 450 guests. “Today is All Saints Day, and we are doing something saintly by gathering this evening, and by supporting a very worthy organization.” stated Bishop Crosby. All proceeds support the HCCEF Student Guardian Program which helps Halton students in need. Marc Clare, executive director of HCCEF, addressed the audience; “Congratulations on helping Halton students and families in need! Thank you for making a difference in the life of a young student”. Schools will identify a student in need, and the school Principal will complete an application to the HCCEF Student Guardian Program. The program has helped over 400 students in need over the past 3 years, and the number of students has almost doubled just in the past year. 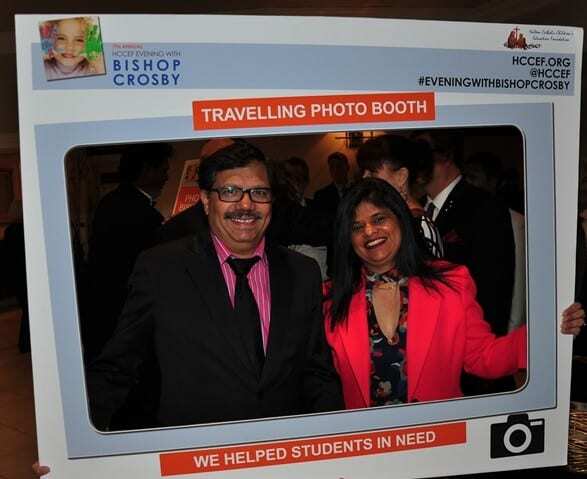 This year’s event raised over $25,000, with $144,000 being raised for the students in need over the seven years of the dinner. Bishop Crosby finished his address by urging guests, “To know Him is to love Him. So know Him, learn about Him, love Him, proclaim Him, and do good”. Thank you to all the kind people who supported this year’s event. Impact of the HCCEF Student Guardian Program – Video.